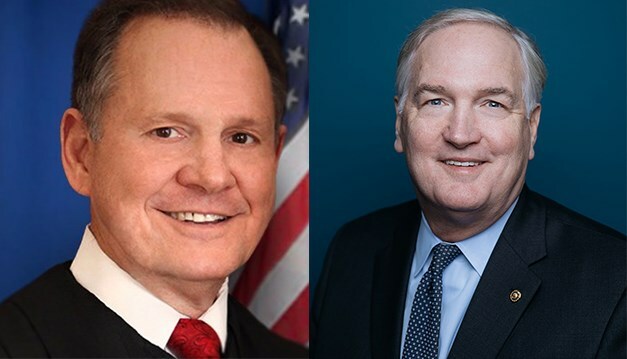 According to the most recent FOX10 News/Strategy Research statewide poll, former Alabama Chief Justice Roy Moore leads incumbent Senator Luther Strange 54% to 46%. Unfortunately and surprisingly, President Donald Trump is endorsing the hand selected replacement to AG Jeff Sessions, Luther Strange. In my opinion this is a terrible mistake. 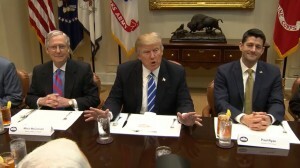 If Trump claims he wants to drain the swamp, why would he back a Mitch McConnell toadie? The winner of next weeks special GOP primary runoff is all but assured to be the next US Senator from Alabama. President Trump is supposed to go to Alabama tonight and stump for Strange. Strange indeed. 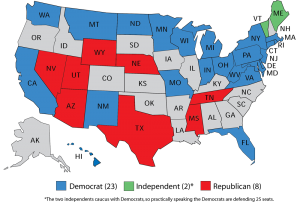 Even though Trump endorsed Strange, Moore defeated Strange and the rest of the GOP candidates in the GOP primary; however, did not get to 50 percent. According to the poll, even with Trump’s endorsement only 20% stated it would make a difference who they voted for. PLEASE ALABAMA … NEXT TUESDAY SEND A MESSAGE TO MITCH MC CONNELL AND REMIND PRESIDENT TRUMP WHO ELECTED HIM PRESIDENT AND JOG IN MEMORY AS TO WHAT HE CAMPAIGNED ON AND FOR!!! If the Alabama GOP Senate runoff election were held today, former Alabama Chief Justice Roy Moore would defeat incumbent Senator Luther Strange, according to an exclusive, FOX10 News/Strategy Research statewide poll, conducted Wednesday. The survey also indicated President Donald Trump’s endorsement of Luther Strange would only sway 2 out of 10 Republicans, planning to cast votes in the runoff. When asked, “President Donald Trump has endorsed Luther Strange and announced visits to Alabama to campaign for him. Did the endorsement by the President make a difference in deciding for whom you would vote?”, 20% of those polled said the President’s endorsement did make a difference, while 80% the president’s endorsement did not make a difference.